Just over 30 days after the Freedom Industries chemical spill on the Elk River in Charleston, WV, another devastating side effect of coal is impacting what some people refer to as "Chemical Valley." This morning, news surfaced that coal slurry had poured into Fields Creek from a Kanawaha County coal processing facility. Let's just hope they catch this crud before it dumps into an already tainted Kanawha River. As referenced from Ken Ward Jr. and the Charleston Gazette, "coal slurry contains a variety of substances that could be more toxic than crude MCHM," the chemical that spilled into the Elk River on January 9, 2014. In fact, coal slurry contains, "other coal-cleaning chemical and various metals." Its been a tough month for central WV residents. Not to mention, its been very trying for some NC and VA residents too. 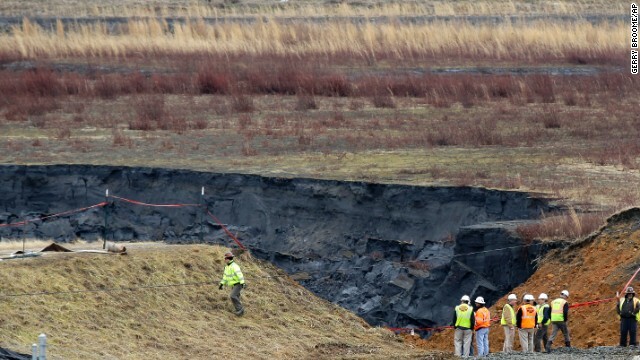 As resourced from CNN, just over a week ago, Duke Energy announced a spill of up to 82,000 tons of coal ash and up to 27 million gallons of basin water into the Dan River. To give this some perspective, try imagining 32 Olympic size swimming pools filled coal ash instead of clean water. With all of the other alternatives out there for producing clean energy, we can't quite understand why people are so connected with such a dirty resource. Pictures courtesy Charleston Gazette and CNN.